We know what’s important to you! We know you are concerned about Pests AND Pesticides. That’s why you should choose a professional for your pest control solutions! Put our knowledge and experience to work for you. 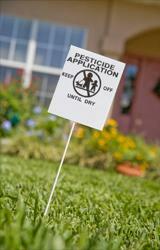 Pesticide safety is our priority. At Muskoka Pest Control, we are concerned about your health and safety as well as that of the environment. We employ IPM strategies and use non chemical and organic solutions as part of our programs whenever possible. Muskoka Pest Control and its employees are Government licensed and fully insured. We are proud members of the SPMAO, CPMA, NPMA and the CNLA. Before any pesticide can be sold in Canada, it must undergo a comprehensive scientific review and risk assessment by Health Canada’s Pest Management Regulatory Agency (PMRA). Pesticides receive a greater breadth of scrutiny by Health Canada than other regulated products, including pharmaceuticals. Pesticides will only be registered for use by Health Canada if there is reasonable certainty of no harm to human health or the environment.